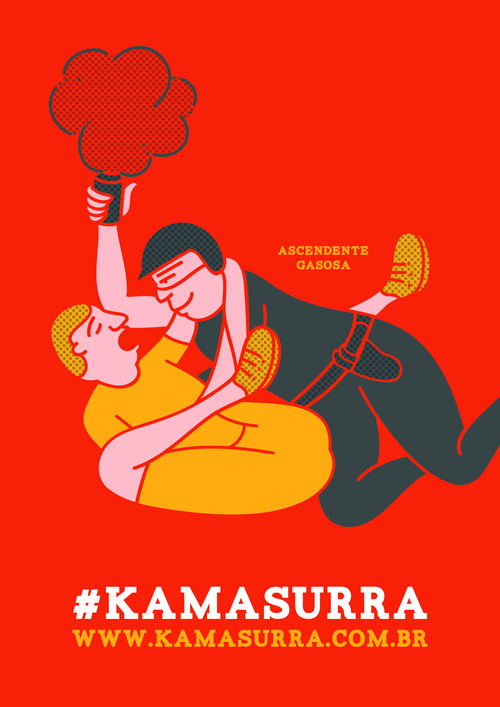 Today we want to show you interesting project called KamaSurra and made by Gabriel Morais together with Renato Botelho and Bruno Pereira. The project aims to raise awareness on a serious social issue in Brazil: the violent and illegal behave police officers have been showing against innocent people during peaceful street protests. 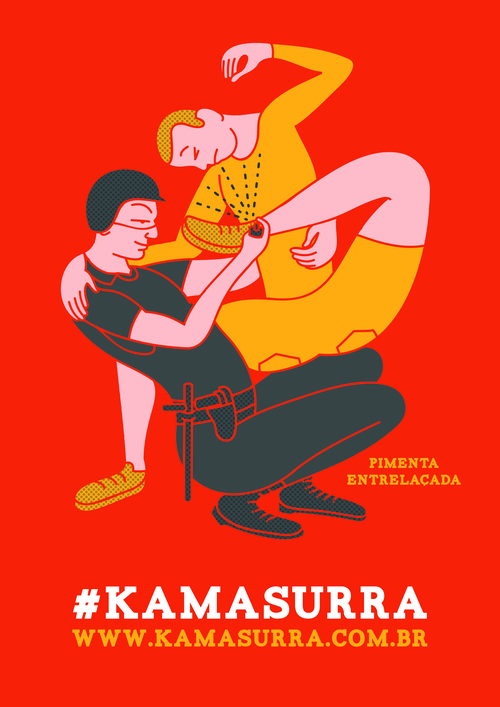 KamaSurra it’s a series of posters based on the original positions of Kama Sutra, but instead of portraying couples making love, we see policemen spreading hate, while abusing innocent citizens. The illustrations portraits real events seem on street protests that have been taken place in Brazil since the beginning of 2013.